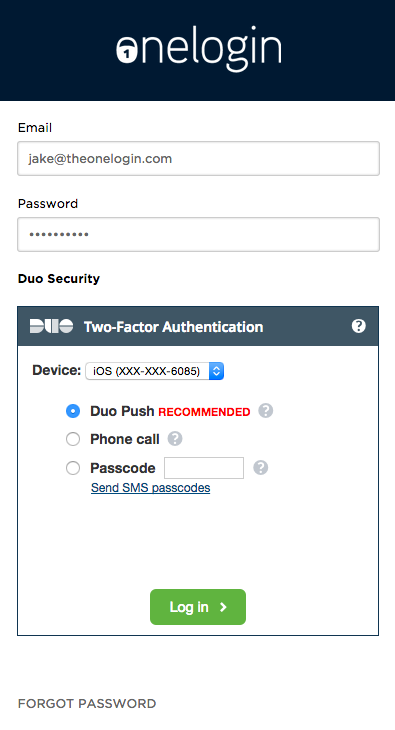 These instructions tell you how to set up Duo Security to work as a secondary authentication factor when you log in to OneLogin. 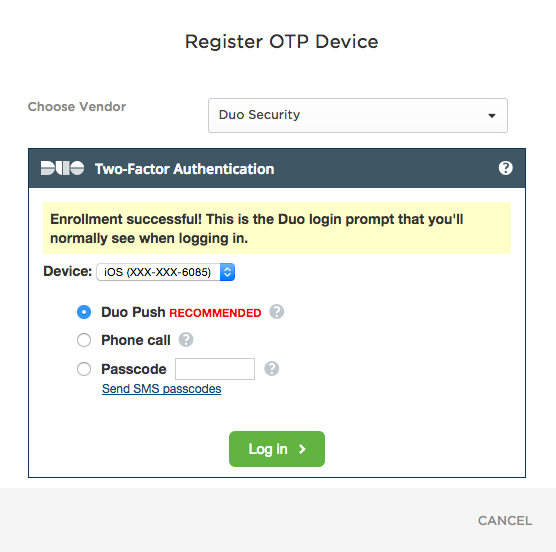 Administrators who want to configure their OneLogin account to support Duo as a secondary authentication factor for their end users should see Enabling Duo Security for your End Users. You have the Duo Mobile app installed on your device. Your administrator has enabled Duo Security as an authentication method for the account. In the Security page, select the plus sign ‘+’ to add a new authentication factor. Select Duo Security from the dropdown menu. This will prompt a step-by-step device registration wizard. Choose your country, input your phone number, and click Continue. Select I have Duo Mobile installed, and then click Continue. Scan the barcode, and then click Continue to complete the wizard. Click Log In to have Duo send a push notification to your phone. Your registered device will appear under Authentication Devices in the security page. Confirm with your administrator how the OTP policy for users is set, whether its for every single login attempt or only for browsers unknown to the user account. 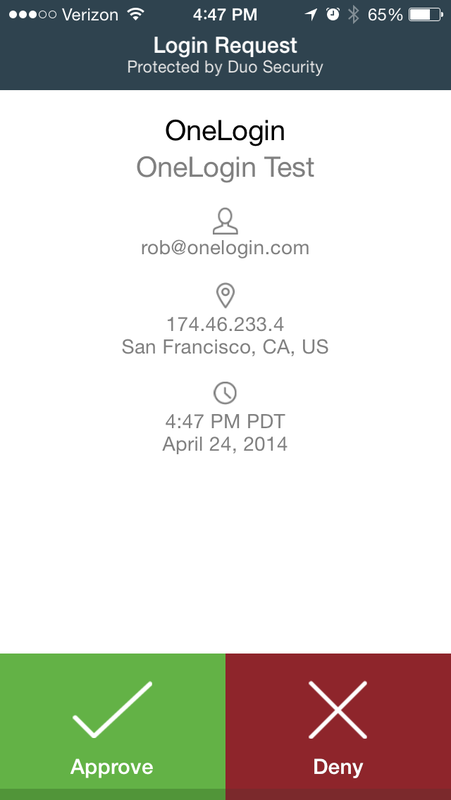 Upon logging in, the user will be prompted to authenticate using Duo. Click Log in to authenticate to login using your chosen method. And with that, your account is now successfully configured with Duo Security.